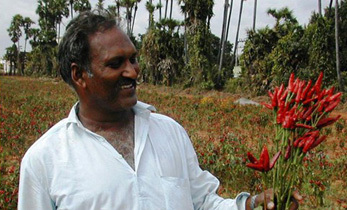 Farmer Fousseini Samake nearly gave up agriculture for a job in the city. Four years ago, he was set back by aging seed varieties and drought with pest and diseases eating into the meager harvest. Cut to 2018, Samake is a name to reckon with in the farming community of Mali’s Bougouni district. Not only did he turn his fortunes around with multifold increase in agriculture yield, he also helped half a dozen farmers better their lives. With a mission to help farmers beat the odds, he directs them to science-based farming at Tech Parks — large tracts of agricultural land set up under the project ‘Africa RISING’ (Research in Sustainable Intensification for the Next Generation). Farmers from the villages of Flola and Madina were also introduced to drought-tolerant and early-maturing groundnut varieties. 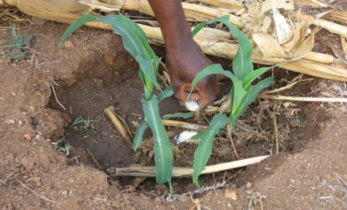 Intercropping agronomy practices were demonstrated at the parks to combat droughts, flooding, erosion and loss of fertility. “My farm was affected by erosion in 2014. 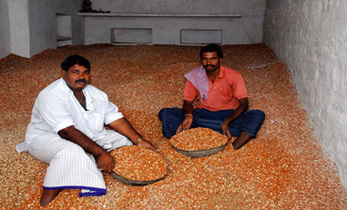 Subsequently, the production dipped so low that I used to get less than 400 kg of sorghum per hectare in a season. Contour bunding with fast growing tree species helped control runoff and enhanced soil fertility. 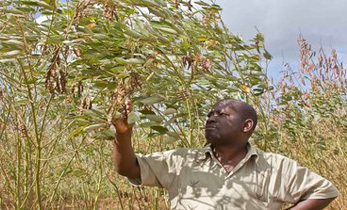 My yield increased to 1,600 kg per hectare,” farmer Mamadou Berthe says. 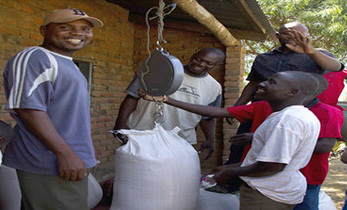 Surge in production, increased availability of food for consumption and sale are among the many benefits of Africa RISING, explains Dr Birhanu Zemadim Birhanu, a Senior Scientist at ICRISAT and the project’s coordinator in Mali. 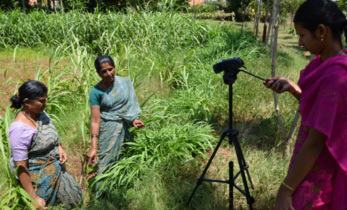 As more farmers learnt about these technologies the demand from the farming communities increased. “Driven by farmers’ interest, Africa RISING will continue testing and validating more technologies in collaboration with other projects that meet demands of rural communities. 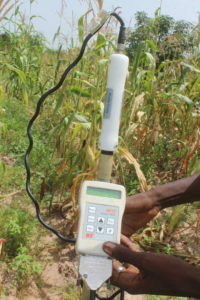 In October 2018, a project by CARE Mali International and ICRISAT began implementing Africa RISING validated technologies in the Mopti region,” he says. More than 3,500 farmers have come out of poverty and hunger since the implementation of Africa RISING technologies in Mali. 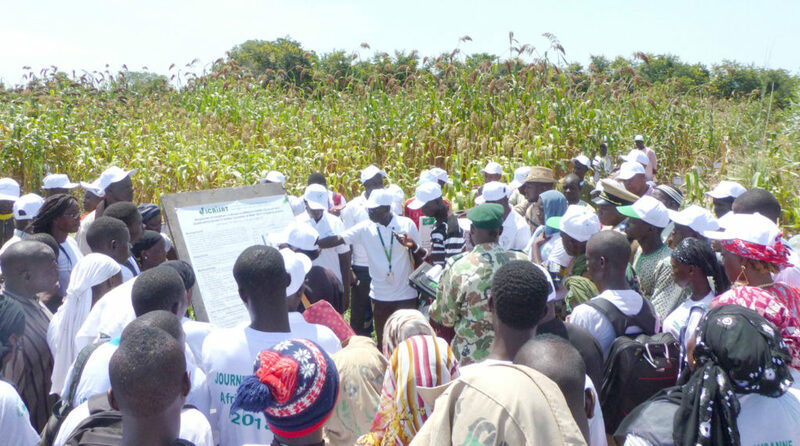 The project also spurred similar initiatives by USAID in Mopti region, where four parks were set up to target 10,000 farmers. Africa RISING’s Tech Parks were developed with funding assistance from USAID through the International Institute of Tropical Agriculture (IITA) and the CGIAR Research Program – Water, Land and Ecosystem (WLE). Partners include Institut d’Economie Rurale (IER), International Institute of Tropical Agriculture (IITA), The World Vegetable Center (WorldVeg), International Livestock Research Institute (ILRI), Wageningen University, CRP- Climate Change Agriculture and Food Security (CCAFS), Association Malienne d’Eveil au Développement Durable (AMEDD) and Cooperatives of the Mouvement Biologique du Mali (FENABI).